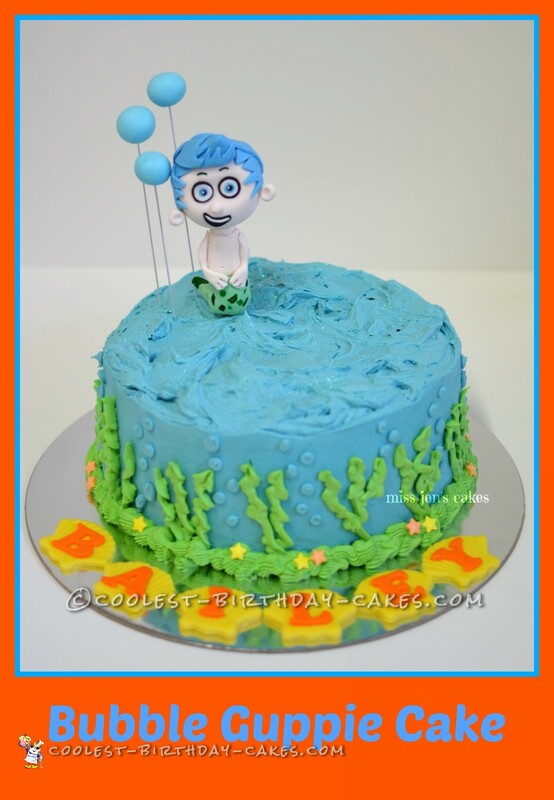 This Bubble Guppie cake is made from a double layer 10inch chocolate cake. Cakes sliced and filled with blue vanilla buttercream, covered with blue vanilla buttercream dusted with edible glitter. I iped green butter cream ‘seaweed’, yellow and orange sugar ‘starfish’ and hand modeled gum paste ‘Gil the Bubble Guppie’ and bubbles. Made fondant shells and name. Customer added a No.1 candle next to Gil. Disney’s Frozen Cake for 6 Year Old Frozen Addict!